The Foundation for the Protection of the Arabian Leopard in Yemen owes its effectiveness to its supporters, a broad, heterogeneous coalition of individual backers, conservation donors, corporate sponsors, and friends. Individual backers are concerned citizens from around the World who give from their pockets in support of our program. We maintain direct contact with all donors to ensure their confidence that their contributions have not been taken for granted or used gratuitously. All donors are members of the Foundation team and as such have a role in determining how their donations are used, even though most choose to remain anonymous and trust us to spend their contributions effectively. Other individuals have shown their support by donating artwork and other materials, acting as couriers to Yemen, and making money transfers that have permitted us to conserve scarce funds by eliminating bank charges. The Mohamed Bin Zayed Species Conservation Fund – this Abu Dhabi-based conservation fund generously supports the Hawf Leopard Survey, enabling us to have obtained more than 2,000 wildlife images (and counting) of 50+ species, including nine carnivores, and the first Arabian leopard images from Yemen. Idea Wild – this American NGO provided the Foundation with four trail cameras for use in leopard surveys. All Bushnell pictures in our galleries were obtained using equipment provided by Idea Wild. The Abu Dhabi chapter of the Emirates Natural History Group – this society of conservation-minded people backed the Oman training mission in November, 2010 enabling us to train five Yemenis in leopard research. It is as a direct result of the Emirates Natural History Group that the Foundation has the capacity to conduct credible trail camera research. IBB Governor HE Ahmed Abdullah Al-Hejri – In supporting the Ibb Leopard Survey Governor Al-Hejri disbursed the first government support of a Foundation activity since the Mahwit Workshop of June 7, 2010. Hans Joachim Schmidt – Hans privately funds the Jebel Milhan Leopard Survey which is coordinated by the Foundation. 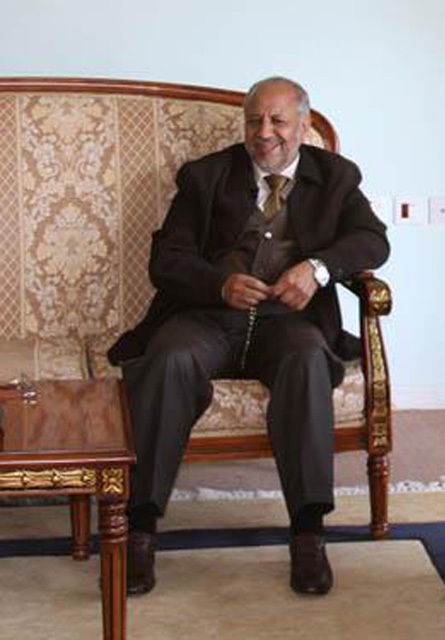 As a result of this collaboration, the Yemeni Cabinet decreed the Jebel Milhan Protected Area on November 24, 2010. Hans’s commitment to the conservation of Arabian leopards in Yemen proves our motto. Corporate Sponsors If individual backers make up the heart and soul of the Foundation, and Conservation donors the muscle, corporate sponsors are our backbone. Without the contributions of the National Tobacco and Matches Company, NATCO, Total E&P Yemen, the Griffin Group, Murjan Travel, and Al-Rehab Engineering we could not exist. It is as simple as that. Friends The Foundation has literally hundreds of friends…too many to name individually. However, several deserve particular mention for their speicial roles in supporting the Foundation. The editorial staff at Wildlife Middle East News has believed in and supported our mission since the very beginning. The management and staff at the Breeding Centre for Endangered Arabian Wildlife in Sharjah has encouraged and assisted us since the days of the Yemeni Leopard Recovery Program; most of the leopard images in our website are on loan from the BCEAW. The development of our website was spearheaded by our friends at the Dubai Kennels and Cattery without whose support and patience we would not be online today. The website was designed, developed, and is sponsored by the foosball-playing magicians at Bluebeetle as a public service.